Would you make the switch? Microsoft is tempting PlayStation gamers to give up on Sony's 7-year-old system and upgrade to its next-generation hardware with an in-store credit to its retail locations. Its flamboyant "ditch your PS3" marketing push offers $100 (about £61, AU$114) of trade-in credit toward an Xbox One at the Microsoft Store in the US, Canada and Puerto Rico. This eye-catching PS3 trade-in program is actually good for anything at the company's retail stores, not just an Xbox One, according to the official offer page. 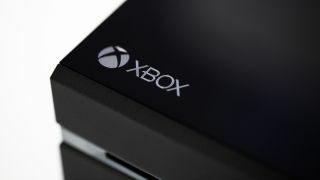 In fact, it's also offering last-generation gamers the same exact amount if they trade in an Xbox 360 S or Xbox 360 E.
These are newer versions of its 8-year-old console, which may be a sign that even Microsoft doesn't want your potential Red Ring of Death hardware back. The fine print reveals that the deal comes down to a less provocative trade - a slim Xbox 360 and any PS3 console gets credit to the entire Microsoft Store. Microsoft has pulled the same stunts with both tablets and smartphones in the past. It was offering double what it is currently paying for a PS3 if you traded in an iPad for one of its Surface tablets back in September. That same month, it was paying top dollar for iPhone and Android devices, suggesting an upgrade to a Windows Phone 8 handset for the next two years. Microsoft's push to win converts through trade-in programs is continuing, a sign that it might be just crazy enough to work.